I am starting to think that there is no end to what a geek with some ingenuity and a Kinect can’t hack. 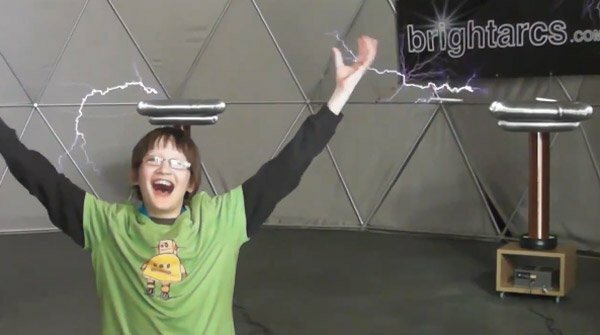 Some geeks at MakerFaire over in the UK got bored and ran across a dude that had built some Tesla coils. They talked the Tesla builder into allowing them to hook up the Kinect to his coils. I had no idea Tesla coils were that loud. This is so awesome, I would have pretended to be the evil Emperor shooting lightning from his hands screaming “Then Die, Skywalker!” right before Darth Vader tossed him off the bridge.